I never really got into American Idol. When my colleagues and friends were hurrying home - missing out on a night's drinking, eating, and chatting - to watch the latest episode of the reality TV show, I just couldn't get it. 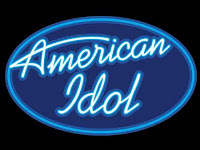 While surfing the channels this Saturday afternoon, I came across a replay of American Idol and I have to say, it is quite entertaining to watch! Seeing these young men and women who look really good, perform great songs, and sing really well is a pleasant way to pass some time. Maybe it helped that they sang songs that I have on iTunes - Alone by Heart, Bette Davis' Eyes, If You Could Only See by Tonic, Man in the Mirror, etc. I still don't think I would rush home to watch it at night but I wouldn't mind watching it every time I chance upon the show on TV. I haven't watched American Idol in years. They are way over doing it this season since it is on three nights a week. That is just too much. It's mostly for the 13-25 crowd so maybe I'm just too old to get it. Yeah, the performers are YOUNG. I was thinking that I am getting old because seeing all those kids gave me a refreshing feeling. Look out! You start kind of half watching it, and before you know it you're in love with Adam Lambert who you were SURE was gay and annoying! And you have to watch it every night to find out which young star is going to get unfairly kicked off next. I have to write about this show for work or never would have watched it! But man, it's addictive!!! What does your husband think of it? Holly: let's just say the husband was busy playing Command & Conquer on his PC while I was watching the show.